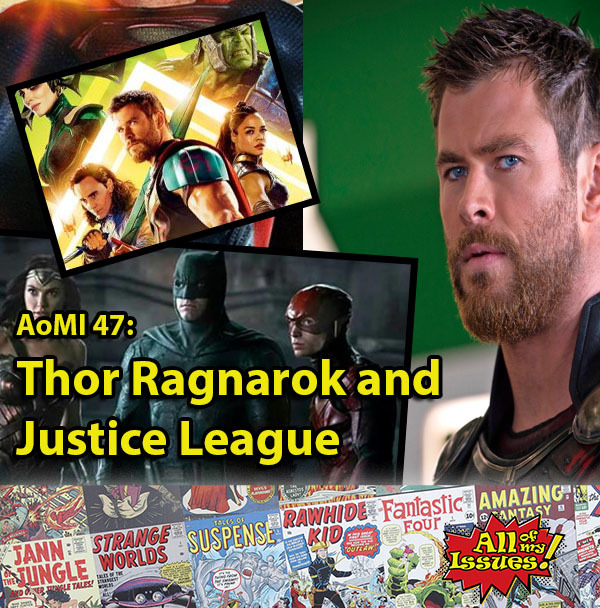 AoMI 47 – Thor Ragnarok and Justice League – All of My Issues! In this episode of AoMI, episode 47, we talk about some of the current movies that have hit the theaters. Mainly, we focus on Thor: Ragnarok and the long-awaited Justice League. While we’re at it, we toss in a few other things like some current TV shows too. Let us know what you think!